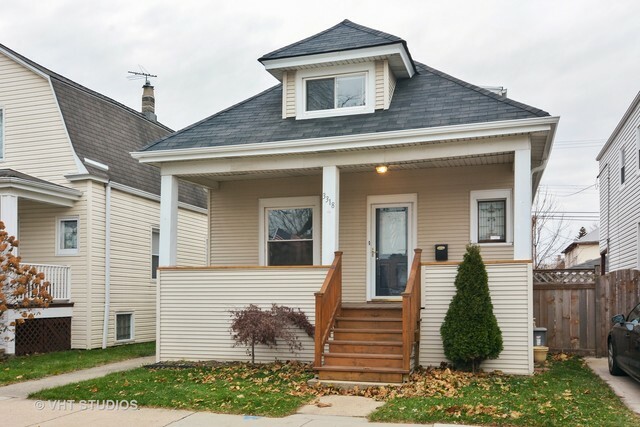 Adorable Portage/Kilbourn Park 4 bedroom, 2 bath. Hardwood floors throughout. Great use of space with full attic converted to 2 bedrooms and full bath and extra loft/family room with skylight. 2 more bedrooms on first floor with full bath. Ample storage. Updated large kitchen and baths. Dining room has beautiful built-in hutch with recessed lighting. New fencing in back yard allows for extra parking space. New front porch and gutters. 1 year AHS-Shield Plus Home Warranty. Floor Plans under Additional Information tab.